Pulitzer Prize, History, 2016. 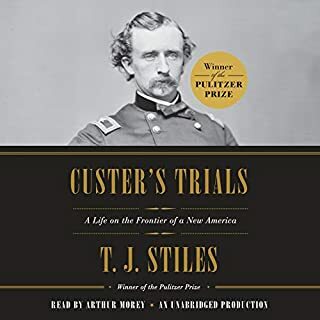 In this magisterial biography, T. J. Stiles paints a portrait of Custer both deeply personal and sweeping in scope, proving how much of Custer's legacy has been ignored. He demolishes Custer's historical caricature, revealing a volatile, contradictory, intense person - capable yet insecure, intelligent yet bigoted, passionate yet self-destructive, a romantic individualist at odds with the institution of the military (he was court-martialed twice in six years). A very carefully researched, extremely detailed and well written biography of Custer. However I learned far more than I ever wanted to know. I would certainly have preferred an abridged version of this book. If you want to know every detail of Custer's life you will enjoy this book.